Shortly after news broke that Nancy Reagan had died from congestive heart failure at the age of 94, tributes to the influential first lady began to pour in from friends, politicians, celebrities, and admirers. In Reagan's home state of California, mourners paid tribute to her memory by placing flowers and flags at the entrance of the Ronald Reagan Presidential Library in Simi Valley. But there's one very specific way Reagan had hoped to be remembered and it's a completely fitting tribute for a woman as devoted and selfless as the former first lady. The good news is, you can honor Reagan's legacy the way she'd have wanted from almost anywhere in the world. According to Reagan's spokeswoman Joanne Drake, the former first lady "requested that contributions be made to the Ronald Reagan Presidential Library and Foundation" in lieu of flowers after her death. It's fitting that the woman who became an outspoken advocate for Alzheimer's, breast cancer, stem-cell research, and fighting drug use in children would seek to give back one final time. On its website, the Ronald Reagan Presidential Foundation asks visitors to "remember Mrs. Reagan with a memorial gift," adding, "the Reagan Foundation was created by President and Mrs. Reagan to preserve the Reagan Legacy and continue President Reagan's work for the benefit of future generations." The Ronald Reagan Presidential Foundation is non-profit and non-partisan organization geared at preserving the legacy and principles of Reagan's political career. The Foundation sustains not only Reagan's presidential library and museum but also the Reagan Center for Public Affairs, the Walter and Leonore Annenberg Presidential Learning Center, and The Air Force One Pavilion. Designed by Hugh Stubbins, the Ronald Reagan Presidential Library was opened in 1994 and is the largest of 13 libraries administered by the Office of Presidential Libraries through the National Archives and Records Administration. It serves as the repository of the Reagan Administration's presidential records as well as records from Reagan's tenure as governor of California. 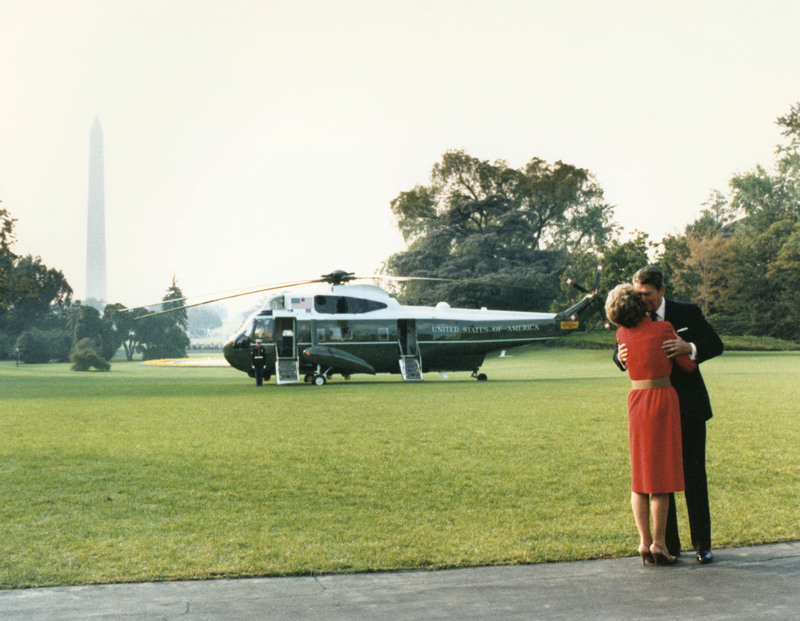 Currently, the library also houses more than 60,000 artifacts chronicling the Reagan's lives. Donations can be made to the Reagan Foundation online through their official website. The Foundation has also established a special Nancy Reagan Memorial Fund for donations made in her memory. A funeral service will be held for Reagan at the Ronald Reagan Presidential Library before her body is laid to rest alongside her husband. Reagan's selfless request that mourners honor her legacy through donations to the Reagan Foundation is characteristic of her tireless advocacy efforts and endless passion for the nation her husband presided over.